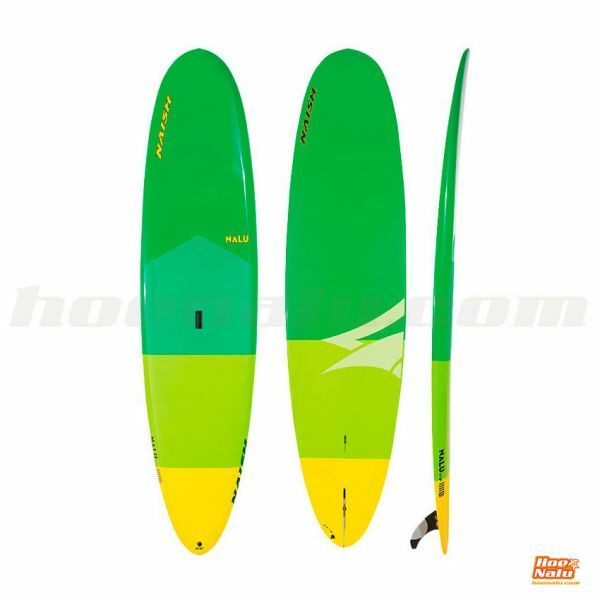 Naish Nalu 10'6" features a wide Nalu outline, recessed deck and full rails for increased stability and wider range of use. 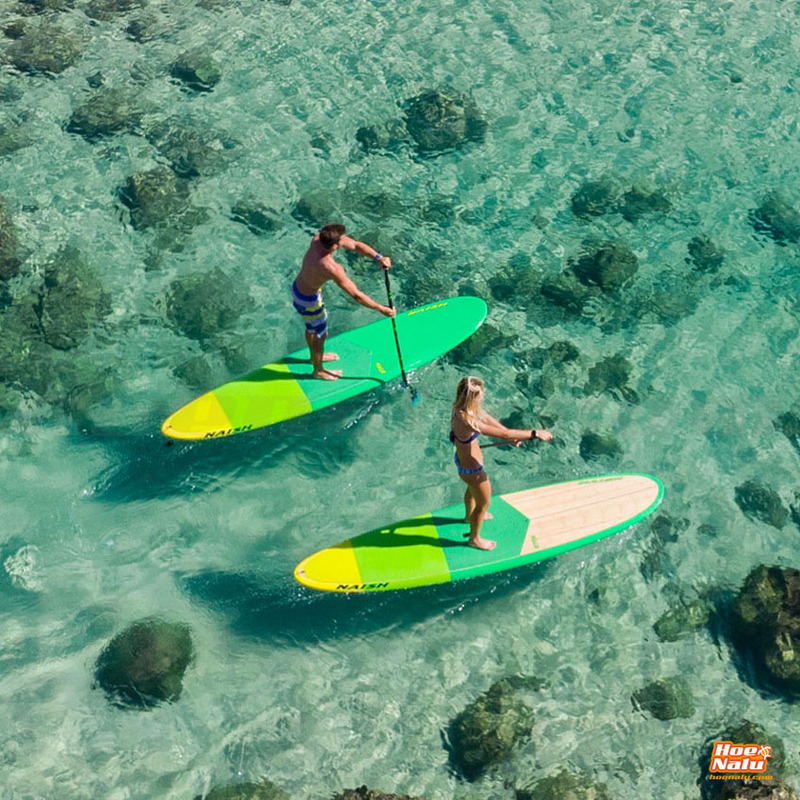 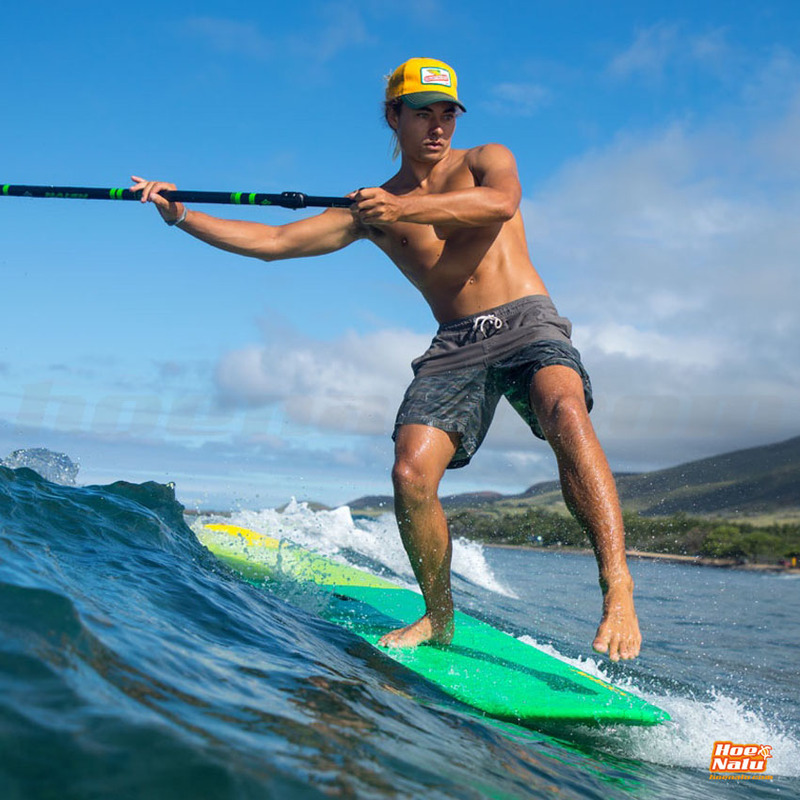 It is the allround classic board, an icon of the Stand Up Paddle, but in the cheaper finish because the iconical one is its "sister", the Naish Nalu GTW with bambbo finish. Boards with Naish GS construction are light and resistant due to their EPS core and total fiberglass coating. 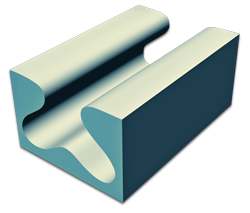 With a wooden layer for more resistance in the stance area. 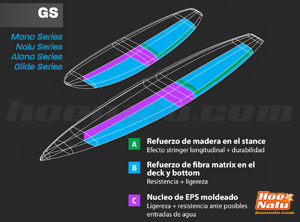 A molded EPS core, covered by thin Fiberglass and wooden Sandwich layers and a fiber finish are the main elements of Naish GS construction.